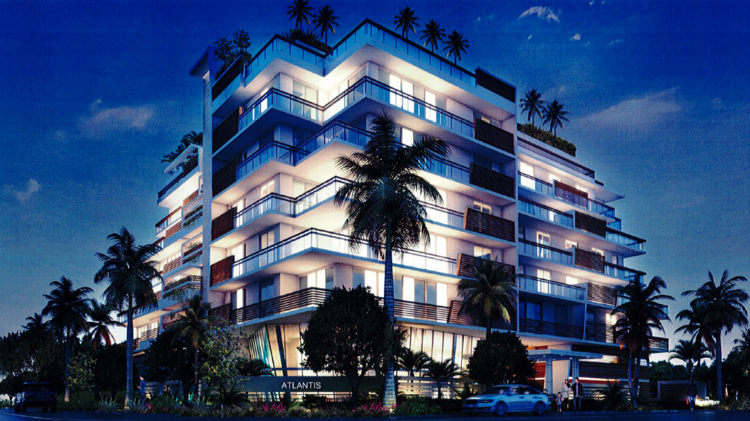 Miami developer Sam F. Sami of Saba Group has proposed his second condo building in Bay Harbor Islands. 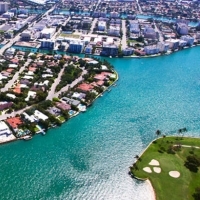 The pair of islands between Miami and Bal Harbour has attracted many mid-rise condo projects. According to CraneSpotters.com, there are 36 condo projects with a combined 1,663 units in the pipeline in the Bay Harbor Islands/Bal Harbour/Surfside market. In November 2015, Sami’s company received approval for the 45-unit ParisA at 1145, 1155 and 1167 100th Street. That project has yet to break ground. In the evening of March 21, the city’s Planning and Zoning Board will consider an application to build the 28-unit Atlantis condo at 10281 West Bay Harbor Drive and 1170 103rd Street. The land-locked site of 22,500 square feet is owned by Atlantis 103 LLC, managed by Sami. The seven-story Atlantis was designed by Frankel Benayoun Architects. Its condos would range from 1,033 square feet with one bedroom to 1,990 square feet with three bedrooms and each would have a balcony. There would be a two-level parking deck with 58 spaces. Amenities would include a rooftop pool, private cabanas, a gym and an interior atrium.